The cat trap worked again! Such a very handsome boy! 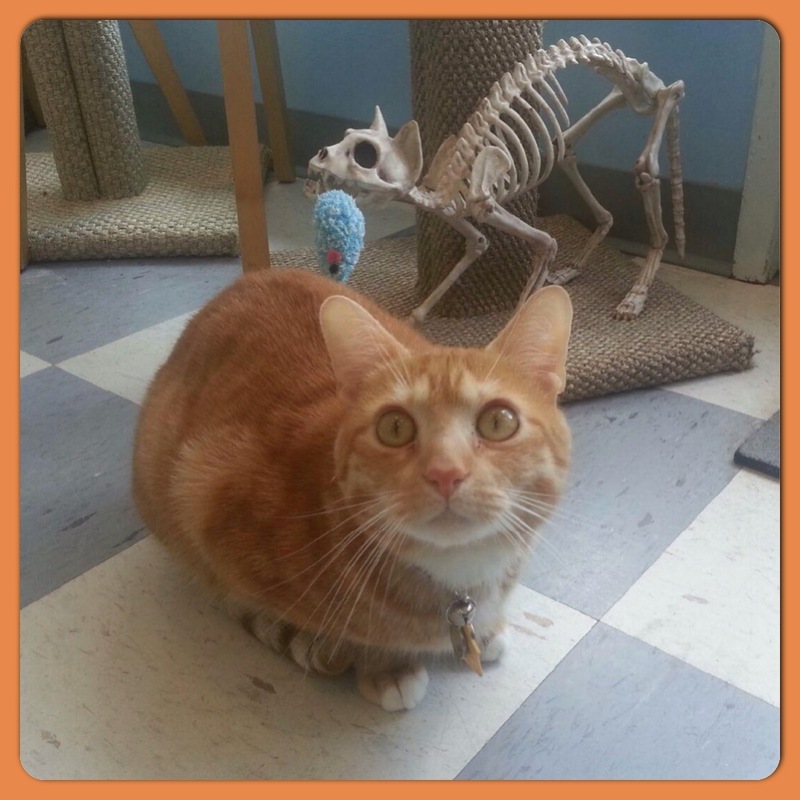 Davis and "Bones" our very thin clinic cat! 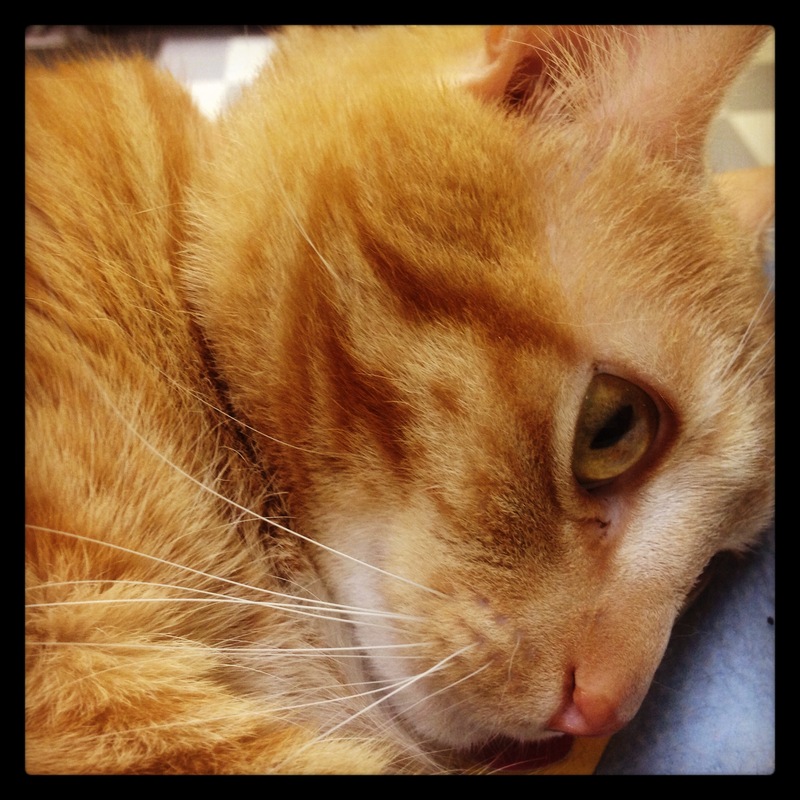 Davis was originally brought to Cobb Emergency Veterinary Clinic by a Good Samaritan. He was wounded from a presumptive cat fight and was not neutered. After he was healed and neutered, he was destined for Cobb County Animal Control, and we just couldn’t have that! Our goal was to bring him to PWC and introduce him to our other clinic kitty at the time, Cinnamon, and work on finding them both a home. Davis had a very different agenda. When we first met him he was flopped over in the cage, cute as can be, wrapped in bandages, and making biscuits in the air. Then the bandages came off and we quickly discovered that little Davis was a poorly socialized hellion! He was aggressive to other cats, people and dogs. We had our hands full, but we were up to the challenge. Over the next few months we utilized everything we had in our behavior toolbox to help Davis adjust to life indoors, living with people, and not biting them! He learned to forage for all of his food which was a great enrichment tool; this forced him to learn to think and problem solve. We played with him intensely because he needed an outlet for all of that negative energy. 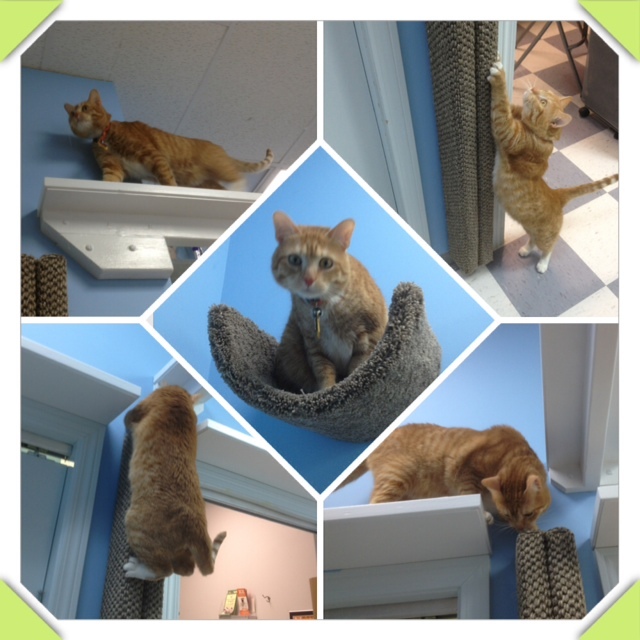 Dr. Globerman employed the design help of Fundamentally Feline to install vertical space in the clinic. Six foot tall scratch poles and horizontal catwalks allowed for more natural climbing and exploration, as well as overall enrichment, making his space more feline friendly. We even invited Positive Catitudes to host an instructional clicker training workshop for the PWC staff so we could learn more about clicker training and apply it directly to Davis. This was a HUGE help! Davis has since learned to come when called, sit, hi-five, shake, spin, target, jump a hurdle as well as from obstacle to obstacle. He even rides a skateboard! He needed to work his body and his mind. Davis is a very intelligent cat, and like most intelligent creatures, he needs to be challenged or else he gets bored. 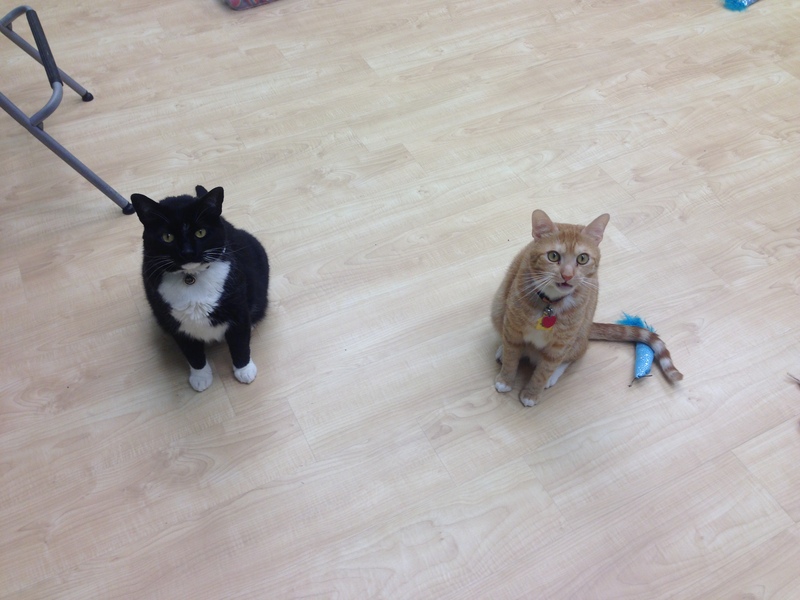 Boredom, frustration and environmental stress are some of the most common reason cats experience behavior problems. Davis also has a very common feline trait: he gets over-stimulated from too much touching. Davis prefers to be the one to do the petting and initiate the affection. This trait often finds cats portrayed in a negative light. But this is just how some cats are. They are very sensitive creatures. We encourage pet parents to learn what their cat’s needs are, how and when they want affection, and respect the cat’s petting preferences. 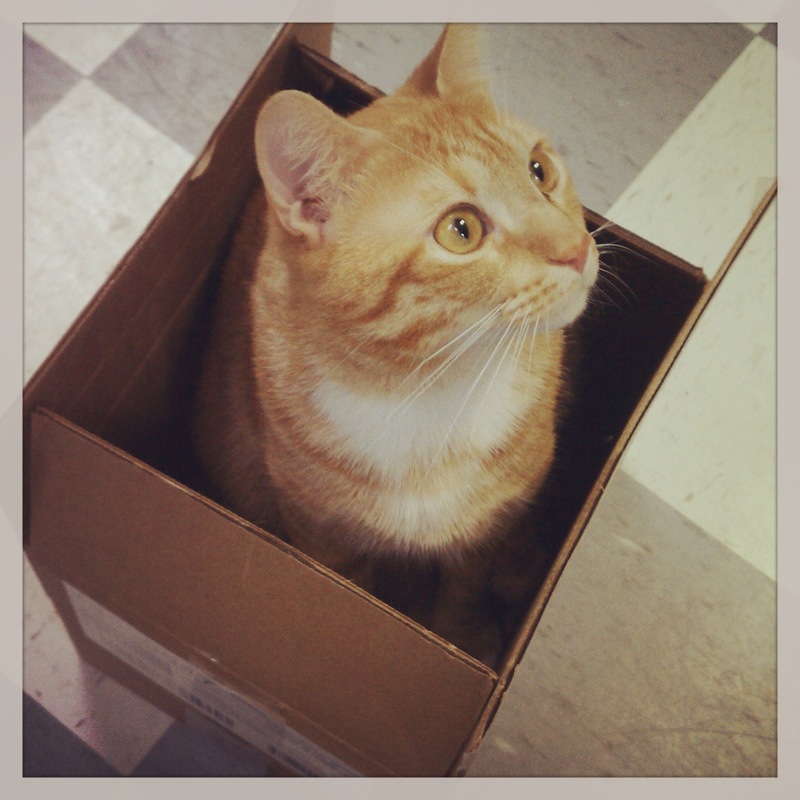 D, as we affectionately call him, is one of the coolest and smartest cats we have ever known. He is also precisely the type of cat that would have been euthanized in a shelter setting. Davis enjoys cuddling with Dr. Globerman (his favorite human), napping in his heated beds, playing with catnip toys (particularly ones he has shopped for himself), chewing through bags of cat food that are not his, foraging, and attempts to escape any barrier created to keep him out of anywhere. Basically, he enjoys outsmarting his humans! We LOVE our D; he is PWC! "Oh, excuse me. 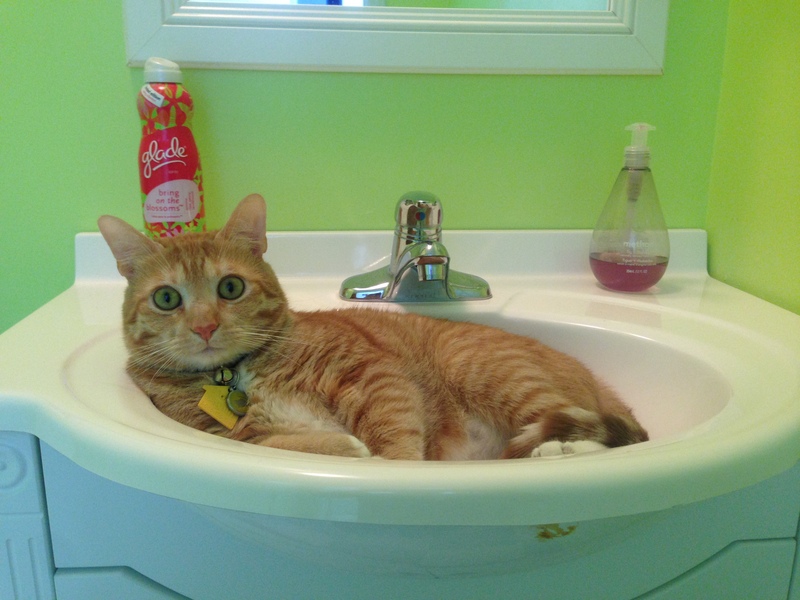 Did you need to wash your paws?" Loving his vertical space! It's #Scratchtastic! Besties. Just waiting for morning meds.